Los Angeles Dodgers outfielder Alex Verdugo and catcher Keibert Ruiz placed in the top half of MLB Pipeline’s list of the top 100 prospects for the 2019 season. Right-handed pitcher Dustin May and shortstop Gavin Lux rounded out the four members of the Dodgers organization who made the rankings. Verdugo and Ruiz place 35th and 36th, respectively, with May at No. 69 and Luz No. 70. Ruiz also ranked third among catchers by MLB Pipeline, and Verdugo was seventh among outfielders. MLB Pipeline appears less enthused about the current crop of Dodgers prospects than either Baseball Prospectus or Baseball America. Baseball Prospectus’ list of top 101 prospects also had four Dodgers, but ranked Verdugo (No. 19), May (27) and Ruiz (31) all higher than MLB Pipeline did. Lux did not make the list, but catcher Will Smith placed 59th. Lux and Smith both made Baseball America’s top 100, giving the Dodgers five on that list. That time, Ruiz (No. 20), not Verdugo, took the top spot among Dodgers players. 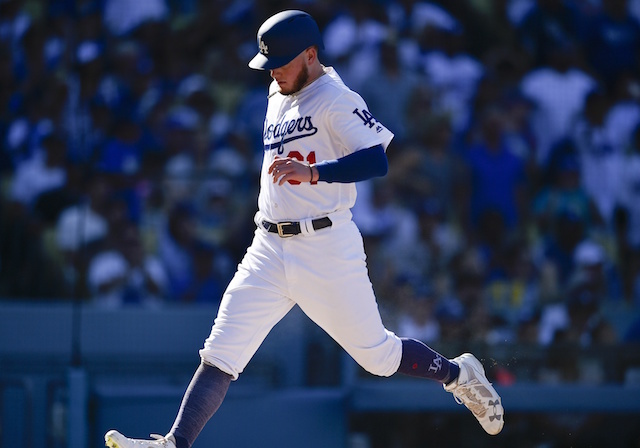 Verdugo seems poised to play a big role on the 2019 Dodgers. He carries an unspectacular slash line of .260/.329/.377 over 52 Major League games but tore up Triple-A in 2018 with a .329 batting average and .863 on-base plus slugging percentage. Ruiz’s future with the Dodgers is less clear. The team does not have a long-term catcher at the moment after re-acquiring Russell Martin with one year left on his contract. 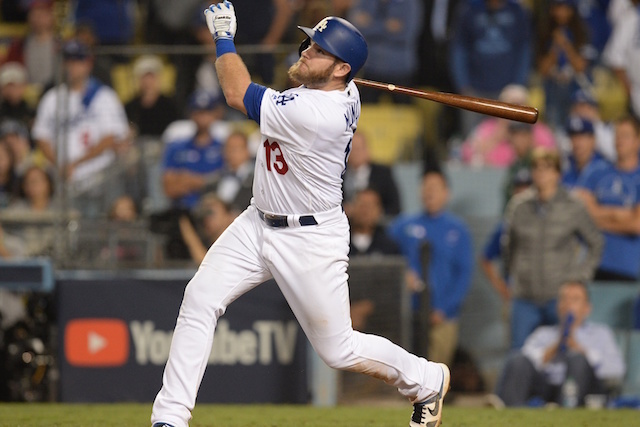 However, the Dodgers have constantly been linked to Miami Marlins All-Star catcher J.T. Realmuto, and Ruiz himself has been rumored as part of a possible return. Ruiz will likely become the Dodgers’ top prospect once Verdugo graduates. He spent his entire 2018 season with Double-A Tulsa, hitting .268 with a .728 OPS over 101 games. He followed that up by slashing .286/.357/.306 in the Arizona Fall League. The prospect lists seem most divided on May, the Dodgers’ third-round draft pick in 2016. He will likely start the season in Tulsa after splitting 2018 between there and High-A Rancho Cucamonga. May pitched to a 3.39 ERA and 1.11 WHIP over 132.2 total innings last year. Lux, selected two rounds before May, also saw time in Rancho and Tulsa last season, slashing .324/.399/.514 between the two levels.